For nearly two decades I’ve sought to create community that supports and nurtures women creatively and spiritually. First it was a yoga studio in my living room, then workshops and retreats, followed by books, a blog, and podcast. The how continues to evolve. 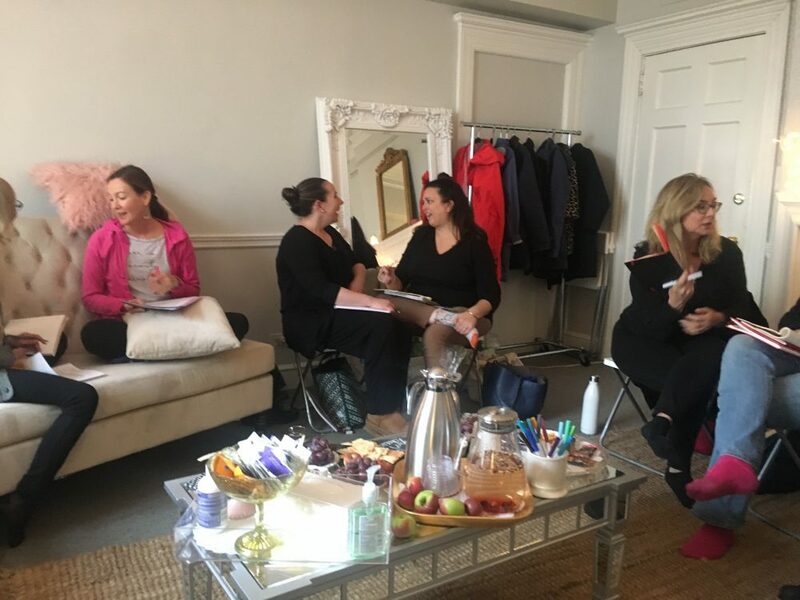 On Saturday I hosted a newly-conceived Writing Salon in my Dupont Circle therapy space in Washington, DC. I rearranged the furniture to accommodate multiple chairs, set out light vegan treats such as rosemary crostinis, vegan cheese, mini Kind bars, dried local apples, grapes, and herbal tea. 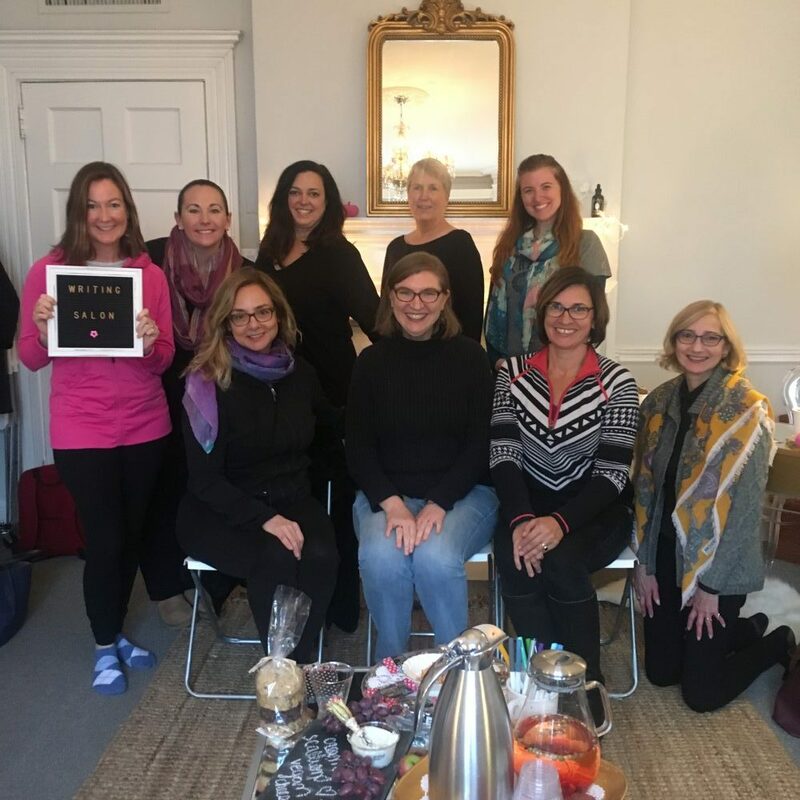 My goal was to offer a safe space to explore the writing practice by offering tools to enliven our writing, tips to create time and space for writing, prompts to practice in the moment, and ways to share our voice with the world. The 2.5 hours zoomed by as we wrote, shared, took notes, offered ideas, and created community around writing. 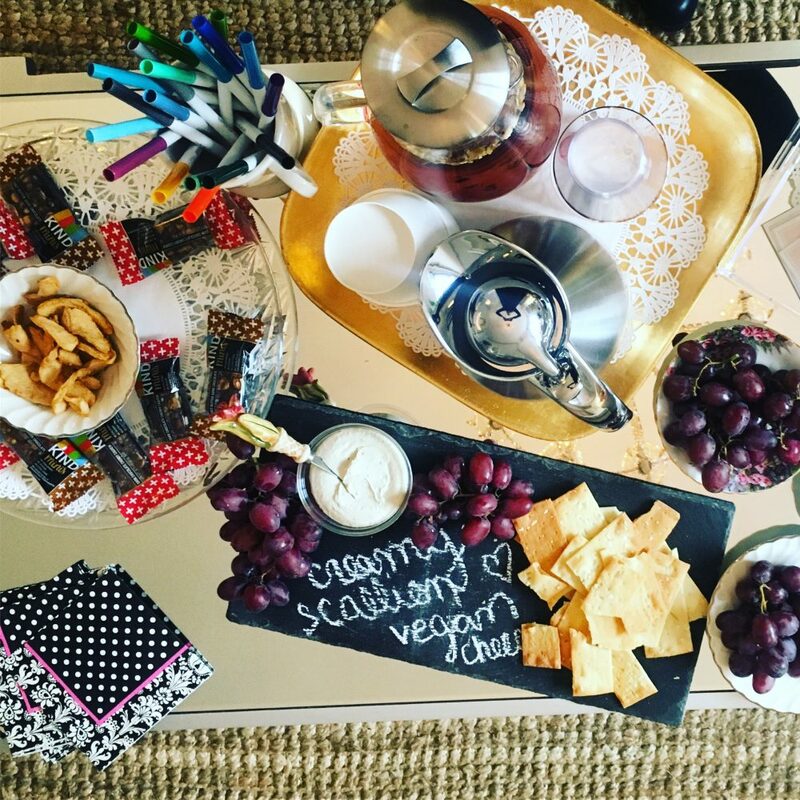 Save the date for our next Writing Salon on January 12! Kimberly welcomed me into the writing salon before I even arrived, with a series of mindful journaling questions to prepare for the session. 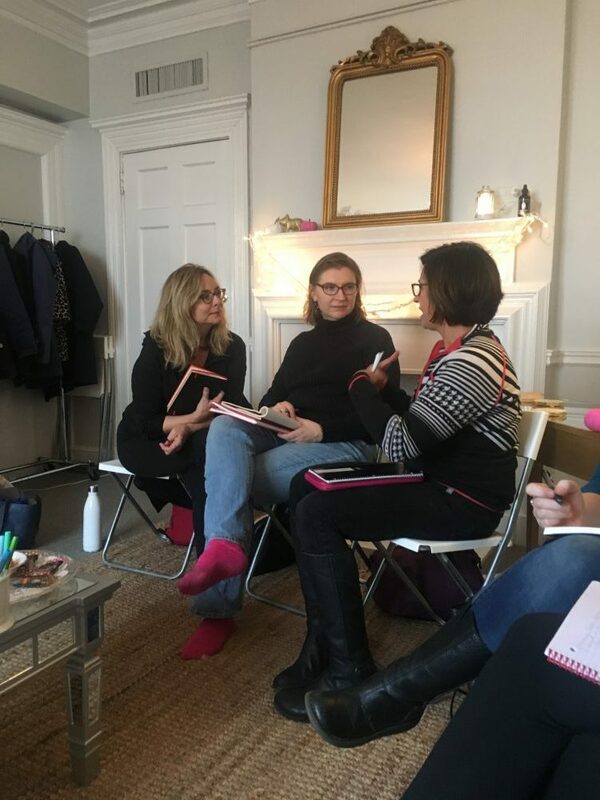 Then, she opened her atelier, a divine, cozy space in the heart of the city, for an intimate and engaging class. Kimberly offered tools, tips, and prompts to enliven the practice of writing. I left having reconnected with my voice and inspired to share it with others. 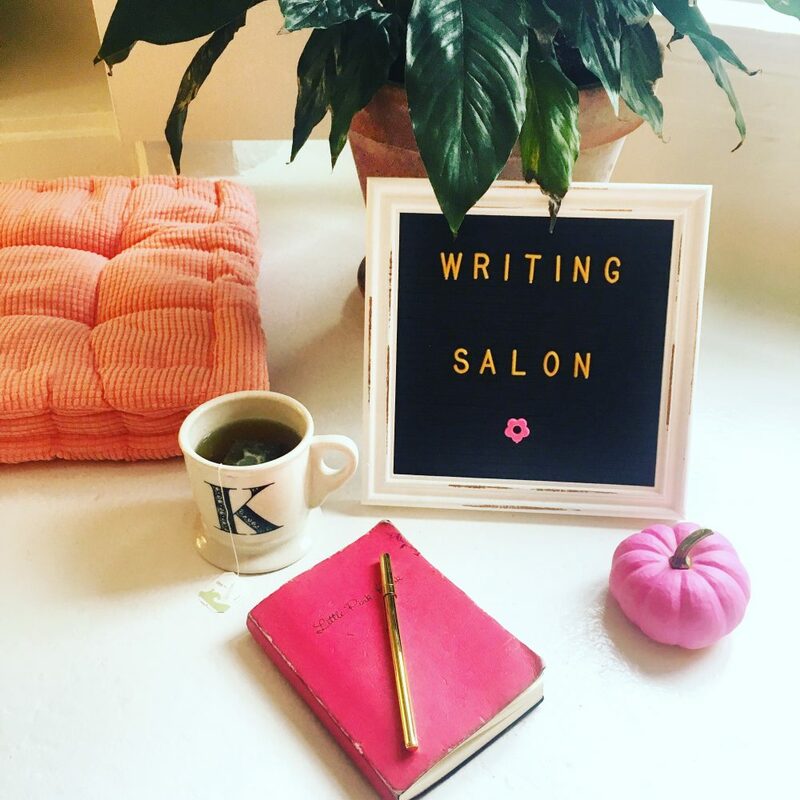 Highly recommend Kimberly’s salon as an investment in your best creative self. Maybe you’ve watched as your metaphorical barn burned to the ground. Perhaps life is truly not moving in the direction you had planned, or maybe you’ve been unwilling to see anything but the rubble. Look Up. See the beauty and magic of your life. Know that you arrived on this planet with all of the courage and faith you need to turn tragedy into triumph.